In all honesty, moving is one of the most expensive projects you can have. After you spend a small fortune on purchasing a new apartment, house, or office, you will need to sit down and calculate moving expenses. And once you start making your moving budget, you’ll see that everything costs at least something. Hiring a moving company, getting necessary documentation, packing, moving essentials, etc. And if you are moving on a tight budget, this could be a problem. That is why you need to find a way to save money while moving. Important to realize is that you can’t save on everything. But there are some money-saving tips you can use in order to reduce your overall expenses. And here is how. Where to start in order to save money while moving? Good preparation is the key. And not just for moving, but for any project you might have. For instance, if you want to prepare for moving internationally, you need to be aware of the challenges that you’ll have to overcome. 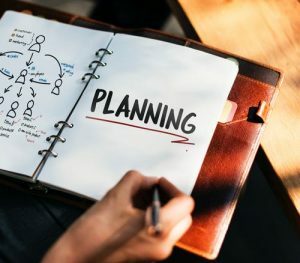 And, as this is one of the most complicated types of relocation, you will need a fair amount of time to conduct research and make a bulletproof moving plan. Therefore, make sure you have enough free time, nerves and patience for such a big undertaking. Once you start searching for useful information, pay attention to details that can help you save money while moving. It is important to recognize such pieces of information if you want to relocate at a reasonable price. And remember that every dollar counts. Once you identify a task you must finish, think about how to do it differently for less money. If you program yourself to that way of thinking, soon you will be able to make the perfect plan that will cut your costs to the minimum. As you can see, we can identify a few major tasks you will have during your move. It is important to understand that you can save on each of them, and here is how. This is the part of relocation where you can cut most of your moving costs. Additionally, if you play smart, you can even increase your budget. In all honesty, you probably have some belongings you should leave behind when moving. Now, if some of those items are in decent condition, you can actually sell them. 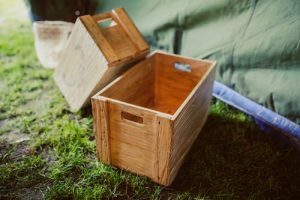 So, the first step in order to save money while moving is decluttering. Once you decide on which items you do not need anymore, make sure you repair and clean them, and organize a sale. Everything you earn this way, you can use to increase your moving budget. Important to realize is that a good moving service will cost you a fair amount of money. Even though this is not something you should be cheap about, there is no need to overpay for it. That is why you will need to use your negotiation skills to decrease the cost of moving service. A smart thing to do is to get several moving quotes and use them as leverage. This is a great tool you can use while negotiating the final price of movers. Packing is also a task where you can save a lot of money. For instance, instead of paying for moving boxes and other packing supplies, try to get them for free. There are a lot of places where you can get free moving boxes such as the local supermarket, book store, or on the internet. In case you know somebody who moved recently, you can ask them to give you packing supplies they used for their relocation. And there is a pretty good chance you will be able to use the most of them. Once the moving truck is at your front door, you should know that there is a way to save some money as well. Most moving companies are charging per truck, so you need to be careful when packing a moving truck. Make sure you fit as many boxes in the truck as possible in order to avoid one more round. Once you enter your new home, you will need to unpack and clean your place. 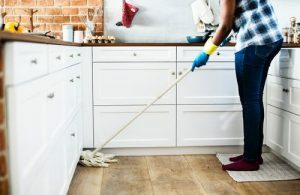 Now, even though there are some good cleaning services out there, you should try to do it on your own. Schedule a free weekend and call your friends to help you. Remember – if you can do it DIY style, do not pay someone else to do it for you. After all, use this opportunity to give your personal touch to your new living space. You will enjoy the process, and save money as well. These are not the only ways to save money while moving. Be creative, think outside the box, and always try to find a way to spend a few dollars less than you want. And research a lot. You can find a ton of useful information, tips, and tricks on this topic from people who already had a similar project. Just make sure you find a good source of information. For instance, if you are moving to Japan, make sure you visit relevant related websites. If you dig deep enough, you will find what you are searching for. Keep in mind that relocation is a time-consuming and demanding project that you need to understand seriously. Once you do that, you will have no problem to plan and organize everything and have a safe and smooth relocation.